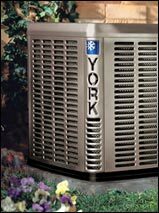 York gives you all the information you need to choose the best total comfort system for your home and keep it running its best. This is general information to help you better understand the heating & cooling process. This excellent homeowner resource gives you a host of helpful hints. Click on any of the articles below to learn more about our programs, products and the best way to get the most from your heating or cooling system. Just like your car, your home comfort system needs routine maintenance to keep it running at its best. Without regular servicing, heating and cooling systems waste energy and are more likely to break down. But with the proper attention, they can keep you comfortable year-round. Here's a list of handy tips for the do-it-yourselfer or for those who just want to know what their system needs for the best possible performance. Knowing what to ask is the first step in choosing the best home comfort system for your home. The manufacturers of home comfort systems will be prohibited from using R-22 in 2010. As a result, most manufacturers have already begun to use the more economical and environmentally friendly R-410A. To select the best home comfort system, it helps to know the ins and outs of heating and air conditioning products. View the glossary to find definitions of some of the most common terminology used when referring to home comfort systems. Like many other appliances, the cost of your indoor comfort system includes not only its initial price, but also the ongoing costs of operation and maintenance. This means that the cooling and heating equipment and controls that you select today will continue to impact your finances for as long as you live in your home. That's why investing in a high efficiency comfort system makes sense. With the information you provide, we can keep you informed in case of product recalls, and we can provide you with useful information on new products. To register your York products online, locate your York product Model and Serial Numbers. Register your York products online.